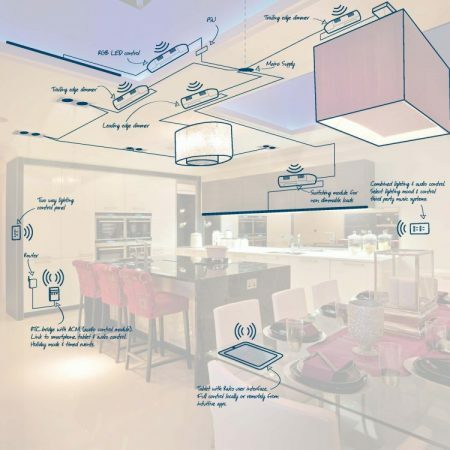 A control system for residential and commercial projects is the perfect way to manage your lighting and other aspects of your home and building on one interface. Turn your home into a smart home. 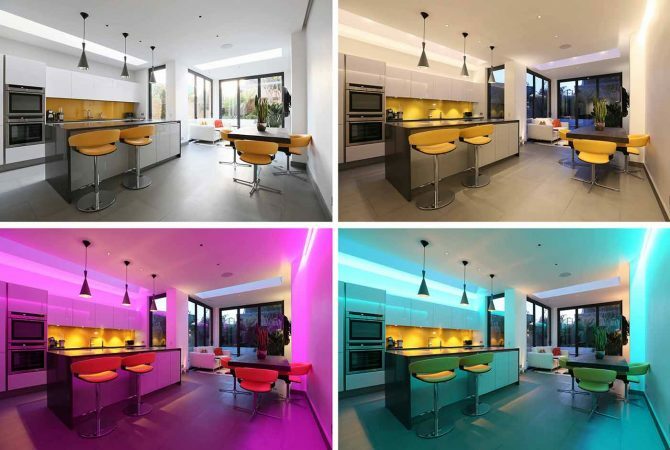 What do lighting control systems do and how do they work? A lighting control system can simply control your lights for one room to a whole house or more advanced systems can also control blinds, music and so much more on a single end user interface. A control system can range from a single/multiple circuit solution to a whole house fully integrated system allowing simple robust control from a scene setting keypad, application on phone/tablet through to voice control. What are the advantages of using a control system? Below showcases how a control system was used to control the lights to create different moods; from no lights to a day time feel then an evening mood and party mood to late at night whilst you are sitting in the living room space. Where can I use a control system? You can use a control system in a house, boat, one room, whole building, hotel, everywhere. It is not limited to a certain type of room or building as it can be simply a switch for one room to a more bespoke system for multiple rooms, open plan living spaces, buildings, etc. What different control systems are there? 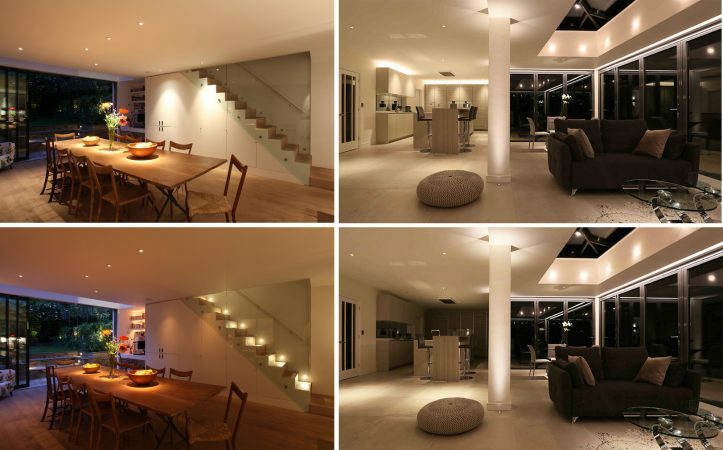 We categorise our lighting controls into four categories; standalone, single room, multi room and whole house/building. Check out this handy video from Rako showcasing how a control system can be used throughout the house: Whole House Control System. Many of the above can be used in multiple circumstances. Phase dimming: used with decorative lighting. Dimming via 0-10V/1-10V: used with LED architectural lights, for example downlights, spotlights, etc. Good dimming range. DALI dimming: used with LED architectural lights, for example downlights, spotlights, etc. Very wide dimming range. DMX: used with RGB lights. Switch / Non-dim: used with lights that will not be dimmed. For more information on lighting control systems give us a call on +44 (0)20 7371 9000 for UK and Europe or +971 (0) 4 554 0488 for UAE and Asia.